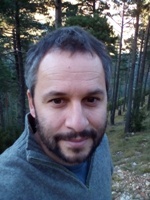 Lluís Coll has a bachelor degree in Forestry (1999) from the University of Lleida (Spain) and a PhD in Forest Ecology (2003) from the Blaise Pascal University (France). At present he is full-time researcher in the Forest Sciences Centre of Catalonia (CTFC) where he leads the Forest Functioning and Dynamics research group. Since 2012 he is associate researcher at the Centre for Ecological Research and Forestry Applications (CREAF). 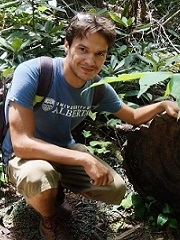 His research interests focus on the analysis of the main factors driving mountain forest dynamics their capacity to respond to environmental changes. In these areas he is conducting studies at various scales (from the landscape to the species level) that combine a number of techniques including the use of forest dynamics models. 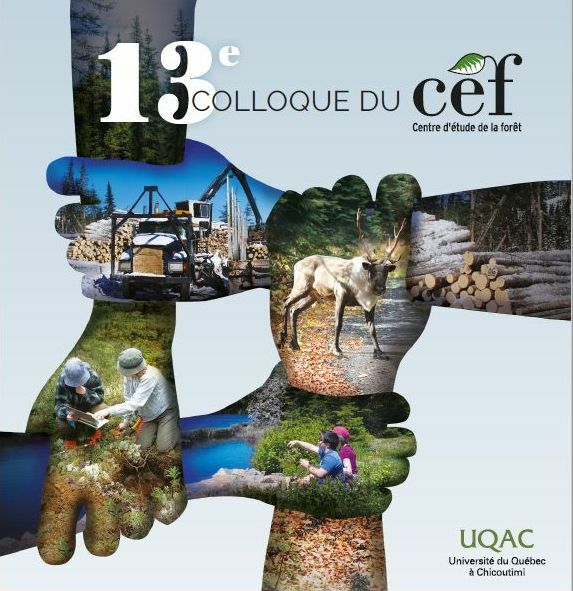 Since about 10 years he is actively collaborating with many researchers of the Centre for Forest Research from Québec where he spent 2 years (2004 & 2005) as a postdoc. Blázquez A., González-Olabarría J.R., Martín-Alcón S., Just A., Cabré M. and Coll L. (2015) Assessing post-storm forest dynamics in the Pyrenees using high-resolution LIDAR data and aerial photographs. Journal of Mountain Science 12(4): 841-853. Benavides R., Escudero A., Coll L., Ferrandis P., Gouriveau F., Hódar J., Ogaya R., Rabasa S., Granda E., Santamaría B., Martínez-Vilalta J., Zamora R., Espelta J., Peñuelas J. and Valladares F. (2015) Survival vs. growth trade-off in early recruitment challenges global warming impacts on Mediterranean mountain trees. Perspectives in Plant Ecology, Evolution and Systematics. In press. De Cáceres M., Martínez-Vilalta J., Coll L., Llorens P., Casals P., Poyatos R., Pausas J.G. and Brotons L. (2015) Coupling a water balance model with forest inventory data to predict drought stress: the role of forest structural changes vs. climate changes. Agricultural and Forest Meteorology 213: 77-90. Ameztegui A., Coll L. and Messier C. (2015) Modeling the effect of climate-induced changes in recruitment and juvenile growth on mixed-forest dynamics: The case of montane-subalpine Pyrenean ecotones. Ecological Modelling 313: 84-93. Martín-Alcón S., Coll L. and Salekin S. (2015) Stand-level drivers of tree-species diversification in Mediterranean pine forests after abandonment of traditional practices. Forest Ecology and Management 353: 107-117. Falster D.S + 105 co-authors (2015) BAAD: a Biomass And Allometry Database for woody plants. Ecology 96(5): p.1445 (Data Paper). Martín-Alcón S., Coll L., De Cáceres M., Cabré M., Just A. and González-Olabarría J.R. (2015) Combining aerial LiDAR and multi-spectral imagery to assess post-fire regeneration types in a Mediterranean forest. Canadian Journal of Forest Reserach 45(7): 856-866. Ameztegui A. and Coll L. (2015) Herbivory and seedling establishment in Pyrenean forests: Influence of micro- and meso-habitat factors on browsing pressure. Forest Ecology and Management 342: 103-111. González-Olabarria J.R., Mola-Yudego B. and Coll L. (2015) Different factors for different causes: analysis of the spatial agrregation of fire ignitions in Catalonia (Spain). Risk analysis. DOI: 10.1111/risa.12339. Bravo-Oviedo A., Pretzsch H., Ammer C., Andenmatten E.; Barbati A., Barreiro S., Brang P., Bravo F., Coll L., Corona P., den Ouden J., Ducey M. J., Forrester D. I., Giergiczny M. Jacobsen J. B., Lesinski J., Löf M., Mason B., Matovic B., Metslaid M., Morneau F., Motiejunaite J., O’Reilly C., Pach M., Ponette Q., del Río M., Short I., Skovsgaard J. P., Soliño M., Spathelf P., Sterba H., Stojanovic D., Strelcova K., Svoboda M., Verheyen K., von Lüpke N. and Zlatanov T. (2014) European Mixed Forests: Definition and research perspectives. Forest Systems, 23(3), 518 – 533. González de Andrés E., Camarero J.J, Martínez I. and Coll L. (2014) Uncoupled spatiotemporal patterns of seed dispersal and regeneration in Pyrenean silver fir populations. Forest Ecology and Management 319: 18-28. Ameztegui A. and Coll L. (2013) Unraveling the role of light and biotic interactions on seedling performance of four Pyrenean species along environmental gradients. Forest Ecology and Management 303: 25-34. Coll L., Camarero J.J. and Martínez de Aragón J. (2012) Fine roots seasonal dynamics, plasticity and mycorrhization in two coexisting Mediterranean oaks with contrasting aboveground phenology. Ecoscience 19(3): 238-245. Puerta C., Espelta J., Sánchez-Humanes B., Rodrigo A., Coll L. and Brotons L. (2012) History matters: previous land use changes determine post-fire vegetation recovery in forested Mediterranean landscapes. Forest Ecology and Management 279: 121-127. Ameztegui A., Coll L., Benavides R., Valladares F. and Paquette A. (2012) Understory light predictions in mixed conifer forests: role of aspect-induced variation in crown geometry and openness. Forest Ecology and Management 276: 52-61. Martín-Alcón S., Coll L. and Aunós A. (2012) A broad-scale analysis of the main factors determining the current structure and understory composition of Catalonian sub-alpine (Pinus uncinata Ram.) forest. Forestry 85(2): 225-236. Puerta-Piñero, C., Brotons L., Coll L. and González-Olabarría J.R. (2012) Valuing acorn dispersal and resprouting capacity ecological functions to ensure Mediterranean forest resilience after fire. European Journal of Forest Research 131: 835-844. Ameztegui A. and Coll L. (2011) Tree dynamics and coexistence in the montane-subalpine ecotone: the role of different light-induced strategies. Journal of Vegetation Science 29(6): 1049-1061. Domenicano S., Coll L., Messier C. and Berninger F. (2011) Nitrogen forms affect root structure and water uptake in the hybrid poplar. New Forests 42(3): 347-362. Coll L., Schneider R., Berninger F., Domenicano S. and Messier C. (2011) Quantifying the effect of nitrogen induced physiological and structural changes on poplar growth using a process-based model. Tree Physiology 31: 381-390. Ammer C., Balandier P., Scott-Bentsen N., Coll L. and Löf M. (2011) Forest vegetation management under debate: an introduction. European Journal of Forest Research 130: 1-5. Coll L., González-Olabarria J.R., Mola-Yudego B., Pukkala T. and Messier C. (2011) Predicting understory maximum shrubs cover using altitude and overstory basal area in different Mediterranean forest. European Journal of Forest Research 130: 55-65. Martín-Alcón S., González-Olabarria J.R. and Coll L. (2010) Wind and snow damage in the Pyrenees pine forests: effect of stand attributes and location. Silva Fennica 44(3): 399-410. Ameztegui A., Brotons L. and Coll L. (2010) Land-use changes as major drivers of Mountain pine (Pinus uncinata Ram.) expansion in the Pyrenees. Global Ecology and Biogeography 19 (5): 632-641. Messier C., Coll L., Poitras-Larivière A., Bélanger N. and Brisson J. (2009) Resource and non-resource root competition effects of grasses on trees of different successional status. Journal of Ecology, 97(3): 548-554. Coll L., Potvin C., Messier C. and Delagrange S. (2008) Root architecture and allocation patterns of eight native tropical species with different successional status used in open-grown mixed plantations in Panama. Trees, 22: 585-596. Delagrange S., Potvin C., Messier C. and Coll L. (2008) Linking multiple-level tree traits with biomass accumulation in native tree species used for reforestation in Panama. Trees 22: 337-349. Brooker R.W., Maestre F.T., Callaway R.M., Lortie C.L., Cavieres L.A., Kunstler G., Liancourt P., Tielbörger K., Travis J.M.J., Anthelme F., Armas C., Coll L., Corcket E., Delzon S., Forey E., Kikvidze Z., OlofssonJ., Pugnaire F., Quiroz Q.L., Saccone P., Schiffers K., Seifan M., Touzard B. and Michalet R. (2008) Facilitation in plant communities: the past, the present and the future. Journal of Ecology 96: 18-34. Balandier P., Sinoquet H., Frak E., Giuliani R., Vandame M., Coll L., Prévosto B. and Curt T. (2007) Six-year time course of light-use efficiency, carbon gain and growth of beech saplings (Fagus sylvatica L.) planted under a Scots pine (Pinus sylvestris) shelterwood. Tree Physiology 27: 1073-1082. Coll L., Messier C., Delagrange S. and Berninger F. (2007) Growth, allocation and leaf gas exchanges of hybrid poplar plants in their establishment phase on previously forested sites: effect of different vegetation management techniques. Annals of Forest Science 64: 275-285. Picon-Cochard C., Coll L. and Balandier P. (2006) The role of below-ground competition during early stages of secondary succession: the case of 3-years-old Scots pine (Pinus sylvestris L.) seedlings in an abandoned grassland. Oecologia 148: 373-383. Berninger F., Coll L., Vanninen P., Mäkelä A., Palmroth S. and Nikinmaa E. (2005) Effects of tree size and position on pipe model ratios, Scots pine. Canadian Journal of Forest Research 35(6): 1294-1304. Curt T., Coll L., Prévosto B., Balandier P. and Kunstler G. (2005) Plasticity in growth, biomass allocation and root morphology in beech seedlings as induced by irradiance and herbaceous competition. Annals of Forest Science 62: 51-60. Coll L., Balandier P. and Picon-Cochard C. (2004) Morphological and physiological responses of beech (Fagus sylvatica L.) seedlings to grass-induced belowground competition. Tree Physiology 24: 45-54. Cochard H., Nardini A. and Coll L. (2004) Hydraulic architecture of leaf blades: where is the main resistance? Plant Cell and Environment 27: 1257-1267. Coll L., Balandier P., Picon-Cochard C., Prévosto B. and Curt T. (2003) Competition for water between beech seedlings and surrounding vegetation in different light and vegetation composition conditions. Annals of Forest Science 60: 593-600. Cochard H., Coll L., Le Roux X. and Améglio T. (2002) Unraveling the effects of plant hydraulics on stomatal closure during water stress in walnut. Plant Physiology 128: 282-290. Thiffault N., Coll L. and Jacobs DF. (2015) Natural regeneration after harvesting. In: Peh K.S-H, Corlett R.T & Bergeron Y. (Eds.) Routledge Handbook of Forest Ecology. The Earthscan Forest Library (series). Routledge. NY, USA. In press. Nocentini, S. and Coll L. (2013) Mediterranean forests: human use and complex adaptive systems. In: Messier C., Puettmann K.J. & Coates K.D. (Eds.) Managing Forests as complex adaptive systems. Building resilience to the challenge of global change. The Earthscan Forest Library (series). Routledge. NY, USA. Coll L., Martin S., Nouguier S., Ladier J., Decoux J.L., Valadon A., Cantegrel R. and Sivade L. (2012) Guide de sylviculture du pin à crochets dans les Pyrénées. Projet POCTEFA nº EFA82/08 UNCI’PLUS: La gestion des peuplements et la valorisation du bois de pins à crochets. ISBN: 978-2-9542347-1-7. 188 p.
Coll L., Navarro-Cerrillo R. and Vericat P. (2009) A Review of Forest Vegetation Management Practices in Spain. In: McCarty N., Willoughby I., Balandier P (Eds). Forest Vegetation Management Practices in Europe, COST office, Brussels. Martín-Alcón S., Coll L., González-Olabarria J.R., De Cáceres M. and Guitart L. (2015) Ús de dades de teledetecció per a la definició de tipologies de regeneració en zones afectades per grans incendis forestals. Silvicultura 71: 9-13. Piqué M., Beltrán M., Martín-Alcón S. and Coll L. (2014) Des mesures de gestion pour adapter les espaces forestiers méditerranéens aux effets des changements climatiques. Forêt Méditerranéenne 35(3): 1-8. Coll L. (2014) Gestión selvícola y regeneración natural ante un futuro incierto: marco teórico y principios generales. Cuadernos de la SECF 40: 19-32. Martín S., Montero R., Coll L. and Aunós A. (2014) Propuesta metodológica para el establecimiento de una red experimental de estructuras irregulares por bosquetes en masas de pino silvestre de Cataluña. Cuadernos de la SECF 40: 59-66. Améztegui A. and Coll L. (2010) Els canvis d’usos del sòl en i l’expansió del pi negre (Pinus uncinata Ram.) al Pirineu català (1956-2006). Catalunya Forestal 10, 15-17. Vericat P., Coll L., Domínguez G. and Piqué M. (2008) Silvicultura i canvi climàtic. In: Jornada ‘El canvi climàtic i l’activitat agrària’, Centre de Formació i Estudis Agrorurals, 28 October, Reus (Spain). Fortier J., Messier C. and Coll L. (2005) La problématique de l’utilisation des herbicides en foresterie: le cas du Québec. Vertigo 6 (2): 164-182.